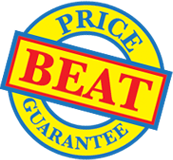 Badge Holders, Badge Inserts and Bead Chains backed by our Price Beat Guarantee. Bead chains avoid the need to pin or clip badges on to clothing. The end clip attaches easily and threads through our slotted badge holder or laminated pouches. Badge inserts allow you to reuse ID badges and come in strips of five for easy preparation.